In addition to the above services, we have dental, audiology, optometry, podiatry, laboratory & X-ray services available. Psychiatry & Psychology professionals are also available in the event there is a need for their expertise. The goal of our skilled nursing team is to provide quality, compassionate, person-centered care. Our nursing team encourage both patients and their family members to become active participants in their comprehensive health care plan. This allows us to partner with residents and their relatives in a more meaningful way. We promote a continuity of care to ensure individualized care experiences that achieve independence, positive clinical health outcomes and patient satisfaction. We do not use any staffing agencies. 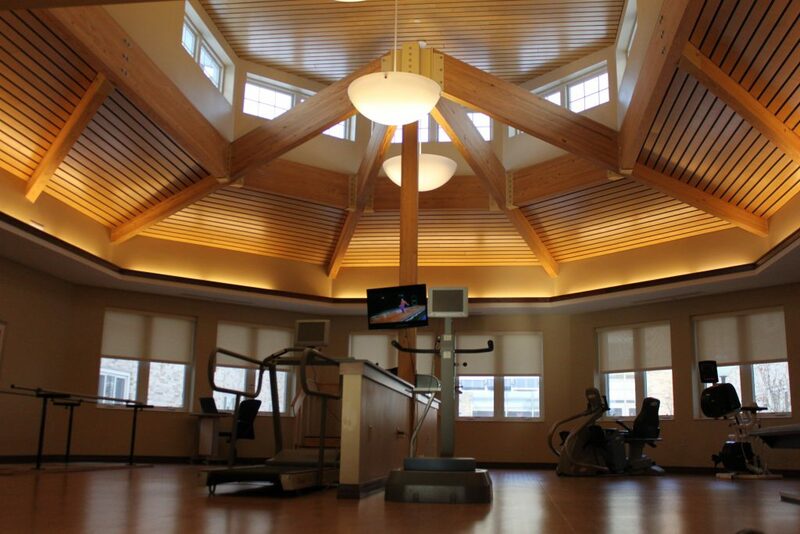 Our rehabilitation specialists provide customized therapy plans for each patient in our spacious, dedicated rehabilitation gym, which includes a full residential kitchen and bathroom. 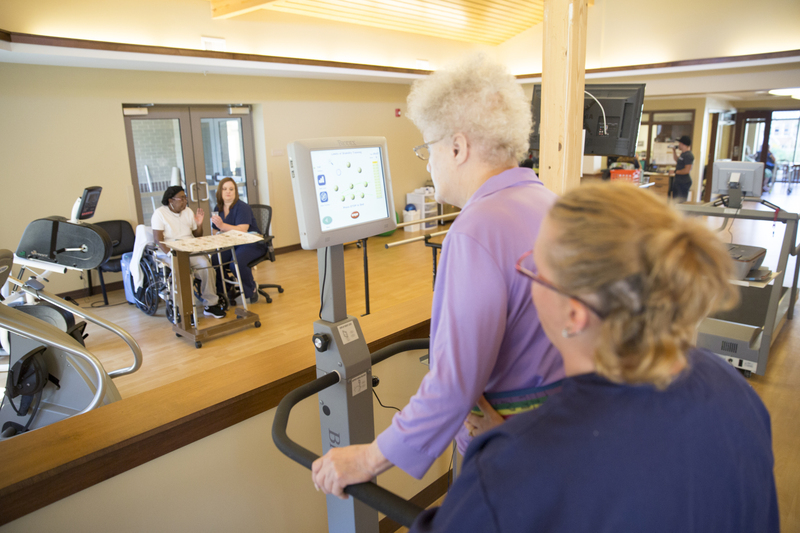 We utilize state-of-the-art therapy equipment including BIODEX Balance System SD, BIODEX Gait Trainer 3 and the NuStep T5XR, in addition to many other therapy modalities. 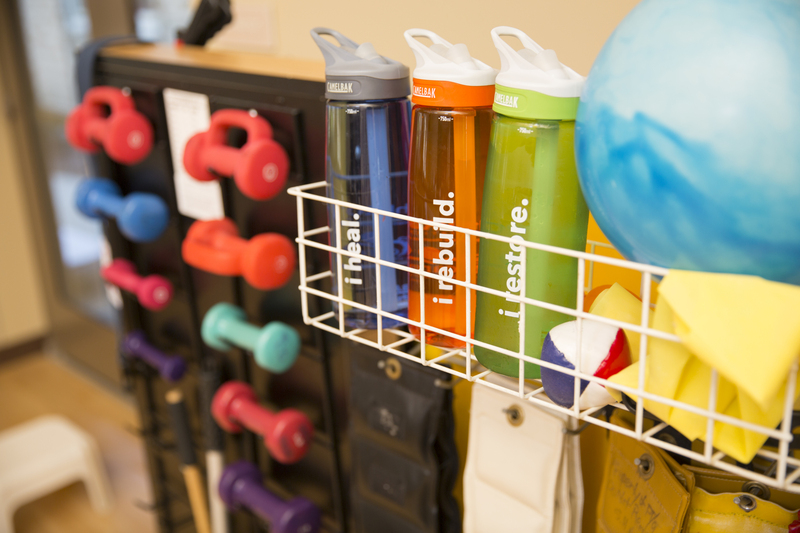 Our rehabilitation therapists focus on supporting our patients to reach their goals and maximize their strength and independence. Our therapy team provides comprehensive discharge planning and offers our “Safe Transitions” program, allowing our therapist to accompany the patient and their family to their home for a complimentary safety evaluation prior to discharge. We provide recommendations to ensure a comfortable transition back to their home. Licensed social workers and a certified dietician are part of our multidisciplinary team on-site. Whether you are a short-term rehabilitation patient or a long-term care resident, we offer a variety of activities and social gatherings. We believe that participating in activities and engaging in social gatherings promotes both physical and mental wellness. We encourage family involvement. The Slovene Home Skilled Care & Rehabilitation offers worship services every Saturday, graciously provided by Father Kumse, of St. Mary’s-Collinwood, and Father Boznar, of St. Vitus. Families are encouraged to attend with their loved one as well. Rosary services are performed three times a week. Our facility also has a non-denominational prayer chapel available to all patients, residents and families.